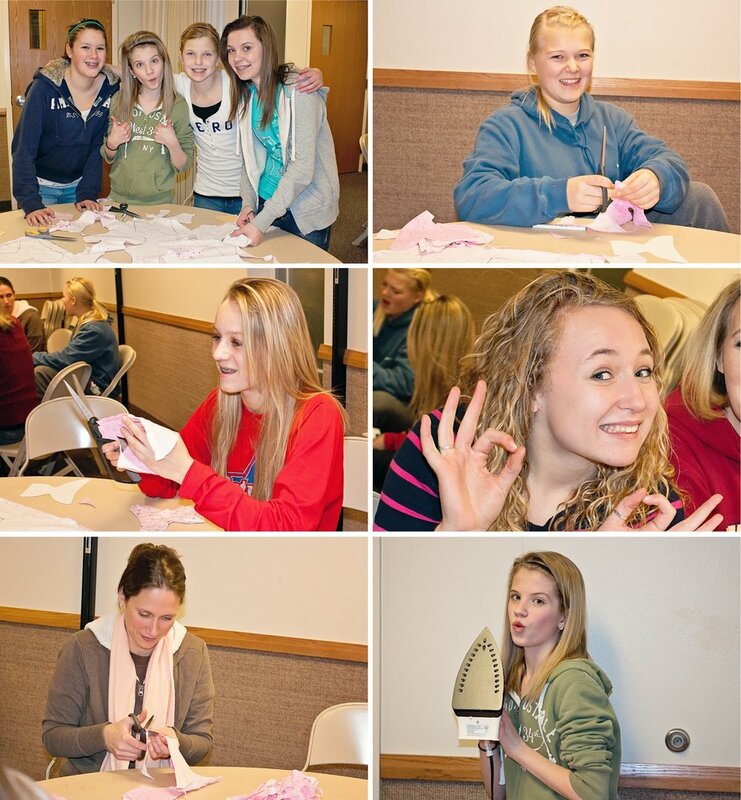 The wonderful Young Women of the Desert Sage Ward of the Church of Jesus Christ of Latter-day Saints spent an evening tracing, cutting, and ironing diapers. These lovely young ladies have great compassion for the angel families that receive these little tokens of love; they are always eager to pitch in for diaper service. 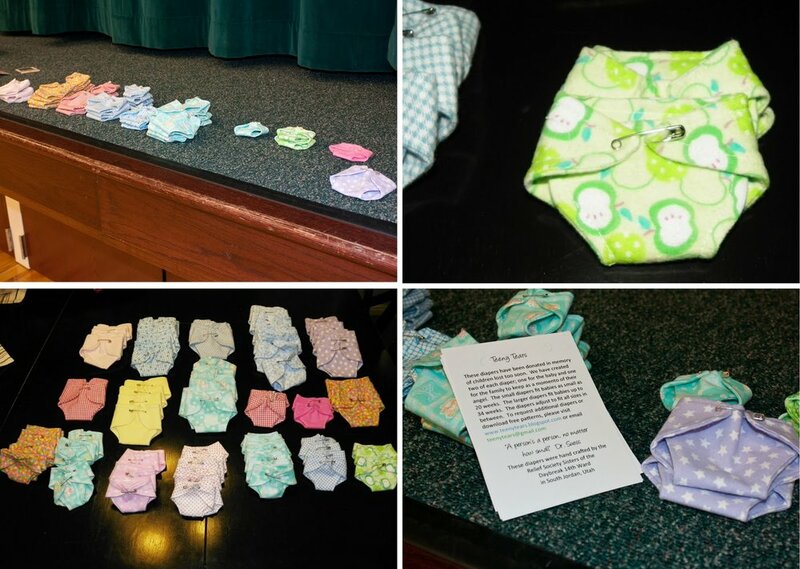 I took the diaper pieces home to sew up and they are ready for delivery! These 40 little treasures will be donated to LDS Hospital of Salt Lake City, Utah. My friend Stacie invited me to speak to the women of her church congregation for a Relief Society Night of Service. We enjoyed a dinner of fake Cafe Rio deliciousness, I spoke for about 20 minutes, and then the ladies fired up their sewing machines to make 108 diapers for families serviced by the Intermountain Medical Center in Murray, Utah! They were able to finish 75 onsite; volunteers collected the rest to finish at home during the week. One of the evening's Super Sewers works as a nurse in the Labor and Delivery unit at IMC. She delivered all the diapers to IMC herself and knows just how needful they are for the tiny angels and their families. I am so glad we could be a part of Service Night! Thank you, Stacie, for the kind invitation, amazing food, and wonderful evening with your neighbors!